Is it a bird? Is it a plane? 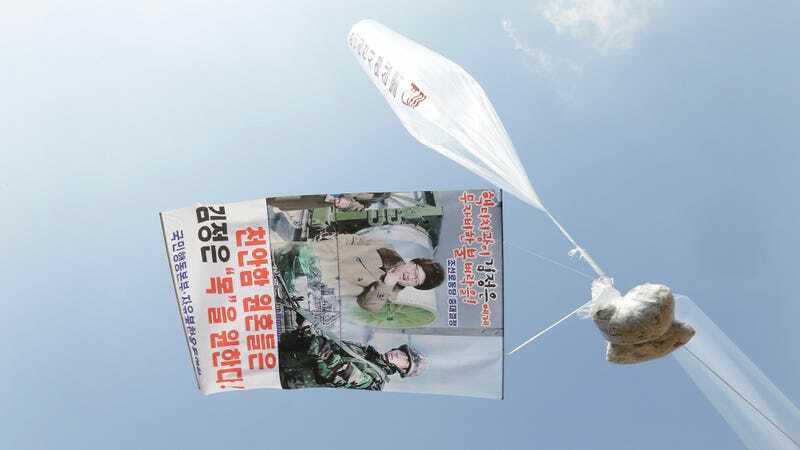 No, it’s a series of leaflets criticizing the leader of North Korea being sent into the country via helium balloon! This is, though, apparently just the start. The group told AFP that it plans to launch “10 million leaflets over the next three months.” Maybe they should team up with the Google Loon guys.